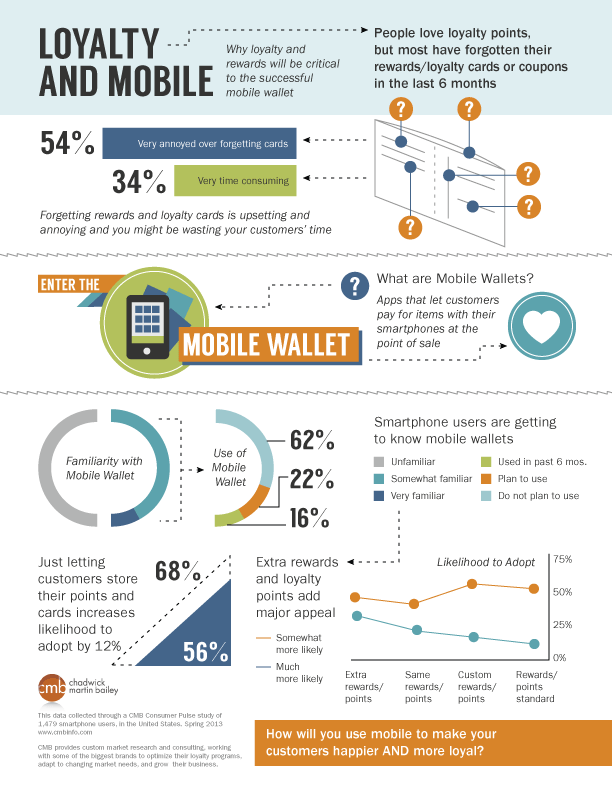 This infographic from Chadwick Martin Bailey illustrates the potential of loyalty programs coupled with mobile wallets. How do you build an enduring brand with loyal followers? As marketers, how do we focus on mastering loyalty marketing initiatives, and stay relevant and consistent with an amplified global competitive landscape? One of the biggest challenges facing marketers is gaining and retaining customers. According to Mark Di Somma, what customers need at first is awareness, authenticity and excitement over the brand in order for a brand to gain top-of-mind. But once customers are passionate about a brand, they need different things. They don’t need to be sold to, according to Di Somma, nor do they need to be reminded that they’re making the right choice every time they buy. They need to feel rewarded in order to make the decision to lock-in and stay loyal to a brand. Often at times, marketers offer no real sense of reward and ignore their loyal customers. So how do you sustain the appeal for those who believe in your brand – establish brand loyalty. At Couch & Associates we build a loyal customer base which we hope results in brand advocacy, by continuing to engage and deliver consistent brand experiences to our customers. To deliver compelling value across the customer lifecycle, we developed FIREFLY, a loyalty marketing initiative that defines a clear strategy for how to engage with customers along different stages of the buying cycle. 1) Establish brand storytelling – Create stories that communicate the personality, values and experiences of your brand. Genone Murrary, Course Director in Internet Marketing at Sail University, argues that companies should base these stories by analyzing and understanding the personality, values and experiences of your customers. Create a brand story that connects with your product/service and target demographics. Don’t equate your brand story with a list of products, services or prices. Build your brand story by determining what sets your company apart from your competitors and what establishes a unique identity for you (unique selling proposition – USP). Create brand storytelling and experiences both in-person and online. 2) Connect with your customers – Be present at touch points which matter most to your customers and provide an emotional connection. As brands are battling for higher affinity, connect and engage with your customers on a regular basis. Increase awareness amongst your customers. Provide your customers with value and motivation and create a community that builds buzz around your brand. 4) Deliver on promise – Make it a habit to deliver happiness every step of the way. Show your customers that you truly care by surpassing their expectations. Offer something new or exciting and stay true to your brand mission and promise. 5) Be consistent – Consistently delivering the same message and performance through all lines of business is reassuring and helps keep your brand top-of-mind. Being consistent helps re-affirm your customers’ trust and credibility in your brand, and helps provide clarity of distinction from competitors. 6) Deliver personalized experiences – Digital marketing enables us to connect with customers in different ways. Drive a strategy of conversational marketing that orchestrates one-to-one seamless messaging across all channels. Profile, segment and analyze your customer base and past buying patterns and create personalized, two-way interactions with your customers that are relevant and customized. Don’t group your customers as stats. Keep your focus on building customer relationships. To establish brand loyalty you must live by your company’s core principles and go above and beyond customer expectations. Go the extra mile to set your brand apart from anyone else. Determine your company’s inside advantage. Find something uncommon about your offering, and find a way to become well-known to your core customer base by offering a differentiation. Kevin Roberts from Saatchi & Saatchi describes the goal of marketing as the creation of “loyalty beyond reason.” Marketers should focus on creating more brand loyalists and “brands that create an intimate emotional connection that you simply can’t do without. Ever” Your existing customers are the most valuable to your business, so start to create an emotional connection and reward them. As a marketer, how much effort should you invest in growing brand loyalty? Do you believe that if you attain brand loyalty, everything else will naturally follow? Click here to find out more on how Couch & Associates brand loyalty marketing initiatives can help keep your brand top-of-mind with your existing customers. With so many ways to promote your business using mobile marketing, knowing some tried and true keys to success in the industry can help your campaign be successful the first time around. Know the goal of the campaign. Creating a successful loyalty marketing campaign starts with knowing the goal of the campaign. Do you want more unique customers? Do you want to reward repeat visitors? This is the most important thing – without knowing what you want out of a campaign before you begin, it’s virtually impossible for that campaign to be successful. Sometimes, even the most successful merchant will have great customers or regulars who suddenly stop coming in. This is particularly relevant in salons and the automotive industry, although it’s a concept that can (and should) be applied to most loyalty brand marketing campaigns. Automated engagement messages are sent to consumers who have stopped checking in at the merchant’s kiosk for a certain period of time. These customers are then specifically targeted by the system for a special offer the merchant sets up. For example, think of a hair salon. Clients are recommended to come back every five to six weeks for a trim, and by the seventh or eighth week, if the client fails to come in, the system will automatically send them a specific, targeted offer – think “$5 off your next haircut” or “we miss u! come in and receive free shampoo w/ trim”. The key word here is unique. This reward system is based on the idea that at specific intervals of check-ins, a customer will get a different reward, leading up to better and better rewards each time. For instance, at the first check-in, a customer will receive a 10% off coupon, at 5 check-ins, they’ll receive 25% off, and at 10 check-ins, receive a free item or service. The redemption rate for these offers is what we look at to decide if the campaign was successful. Around 40 percent of automated engagement offers redeemed is considered very successful; that means of the number of inactive customers that received this message and would have otherwise stopped coming back to the salon for whatever reason, 40 percent came back and redeemed the offer. Those are customers that could potentially have been lost had the message not been sent. Knowing what your particular success targets are can help you to update your plan as you go through your campaign and evaluate success during or at the end of the campaign. One of the most frequent issues merchants see in getting higher redemption rates is unrealistic expiration dates. Expiration dates on rewards are necessary; you don’t particularly want someone to stack up offers indefinitely. However, if someone spends a year getting their reward, you don’t want to give them a three-day window to redeem it. Using these proven keys to success, you should be able to formulate a plan for loyalty marketing that is successful and will work for your business. It has been said that where Google goes these days, people follow. So when Ian Carrington, Google’s director of mobile marketing, told an audience during the Changing Media Summit in London last year, “If you don’t have a mobile strategy, you don’t have a future strategy,” marketers paid attention. Mr. Carrington’s recent comments come at a time where mobile, specifically smartphones and tablets, are enjoying high adoption rates and even higher popularity. Media research firm Nielsen may have called 2011 “The Year of the Mobile,” but in only a few short months, it is amazing how antiquated that label seems. Considering that the company’s latest research shows that smarphones made up nearly half of all United States mobile phones in February 2012 suggests that going forward, christening years with tech titles might be a bit premature. Like no other marketing tool before it mobile is the ideal medium to improve customer service and, through heightened customer feedback and shopper metrics, instill greater loyalty. Today’s North American Internet-using population stands at 273,067,546 and smartphones already comprise around 30 percent of worldwide mobile phone subscribers and is rising daily. More than half of the U.S. mobile market is already dominated by customers relying on 3G access, while globally one in five mobile subscribers are running on 3G speeds and faster. With data indicating that today’s Web-accessible mobile phone users spend nearly three hours per day on their wireless devices, there is a continuing incentive for companies to ramp up their mobile customer services. In other words: relying solely on traditional short message services (SMS – or what has long been considered the backbone of mobile strategy) will shortchange both you and your customer. Instead, expanding into new wireless channels such as QR codes, advanced augmented reality apps or multichannel techniques, for instance, is another way to make the rest of 2012 and beyond more mobile still while improving customer service and driving loyalty. And speaking of multichannel techniques, there is also the burgeoning arena of digital signage and its mobile phone importance. Unlike static standalone signs, digital signs are increasingly linked to mobile devices via Bluetooth or Wi-Fi connectivity and can deliver a wealth of customer-specific promotions, coupons and redemptions, and all of it based in real-time and location-aware. When it comes to driving loyalty, nothing is more valuable than delivering to customers relevant and timely messages and information that they can act on immediately. For the marketer, instant feedback helps paint a metrics picture that can be used to create an even more tailored experience during the next engagement. To be sure, for all the excitement and “mobile has reached a tipping point” chatter in the first quarter of 2012, it is important to remember that 2011 was already very mobile. And so was 2012. After essentially putting the power of mobile on the map, companies continue expanding their mobile efforts and have taken them far beyond a basic SMS blitz incorporating location-aware campaigns and engaging rich media experiences. Despite that momentum, many companies have yet to jump on board the mobile bandwagon or have yet to use it to its full potential. In a 2011 survey from King Fish Media for instance we learned that 62 percent of survey respondents planned to launch a mobile marketing campaign within the next year, while only a third of companies already had a mobile communications strategy in place. And since 2012 still has a long way to go, it is likely that many marketers still have not gotten the mobile message. And like any New Year’s resolution, they are easy to make and even easier to break – either by not following through on their mobile campaign plans or by launching those plans incorrectly. But many of the ones that succeed will do so in part because they established loyalty using great customer service. Think of loyalty and mobile customer service like an equation. 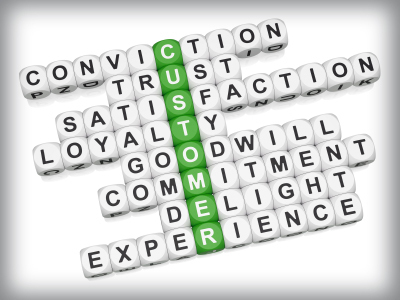 Improved customer service, plus improved customer feedback equals greater loyalty. Focusing on the positive, what follows is a look at ways in which businesses can build brand loyalty through the fusion of mobile and customer service. Think that your customer service practices and your mobile customer service programs are fully integrated with one another? You might be mistaken. Last year, a TeaLeaf study called mobile “the worst channel for customer experience,” stated that 83 percent of customers surveyed in Britain reported that they have encountered a problem when using mobile checkout. While no comparable study was completed in the U.S., the results are telling. Mobile has far to go in providing high quality customer service, particularly with many company mobile initiatives struggling to take shape in such a fast-paced environment. Marketers responding to rising consumer smartphone adoption, however, have an opportunity to deliver tailored programs and technology that ultimately drive loyalty. What makes up the ideal customer experience? The best mobile experiences are the ones that use best practice and keep important demographics in mind. These are the areas most important to fine-tuning an agreeable customer experience via mobile, the type that builds loyalty through ease of use and intelligent design. Letting the customer guide the experience. Before making changes, ask yourself how each change affects customer interaction with your company. How will the changes you make to your customer service affect the customer experience? Maximize the multichannel map. Customer service levels should be consistent across all channels, with the ability for customers to easily interact with representatives as needed. The customer should be able to transition between channels without difficulty. In an SMS or mobile app message, for instance, include a link to your company Web site and phone number for customers to speak with live help. Nothing speaks like the voice of authenticity, so the saying goes, and sometimes even the most mobile-savvy customers welcome the opportunity to sort out a problem with a real person. Even if a consumer is left dissatisfied by a specific experience, quality customer service, both traditional and mobile, increase the odds of loyalty purchases at a later date. Offering valuable mobile additions. 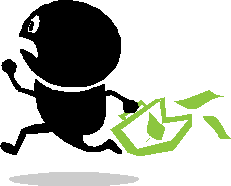 Listening to customer response is a vital part in the creation or revamping of the mobile medium. Since reviews and feedback shape the customer and repeat customer experience, this data can be used to formulate mobile strategy. This is particularly important in healthcare and service providers’ cases, as they often provide lower-rated customer service experiences. Making service a priority. Quality customer service benefits companies greatly, and as its importance is realized more widely, this should become a top priority. In today’s ultra-competitive marketplace it is hard enough finding customers, let alone keeping them. All it takes is one ill-timed message before a potential buyer tunes your message out and goes elsewhere. But once you have gained that loyalty, the strategies above can be used to boost your competitive advantage. Loyal customers buy more and shop more often, making them more profitable than new ones. If we can simply use appropriate customer service strategies to attract and retain the customers we want – the ones who are most valuable to us – then we will soon see retention numbers rise accordingly. THE BOTTOM LINE: be aware of your customers’ needs. By understanding what they want, you can arm new mobile services with plans for top support and consistency. As we continue through the rest of 2012 there is no doubt that many companies – even the majority – are at least in some formative stage of building and expanding their mobile outreach. Others have gone well beyond their beta versions. Mary Meeker, a partner at the venture capital firm Kleiner Perkins Caufield & Byers, told us back in October 2011 that the number of Fortune 1000 companies that are launching mobile ad campaigns grew from 203 in July 2011 to 250 this past September, a 23 percent increase – and the trend is upward. Regardless of what stage they are in, however, there is always some aspect of mobile marketing and customer service that can be improved upon to attract and retain customers. Loyalty boosted by mobile is an ideal way to forge ahead, because with mobile use growing and changing, we can expect grand returns – and soon. If Nielsen termed 2011 “The Year of the Mobile,” and a Google Guru continued to hammer home the importance of mobile this year, it is clear that any business without a mobile strategy, and certainly one that integrates with building customer loyalty, is going to be left behind. Just as loyal coffee enthusiasts can’t get enough Starbucks, the folks at Starbucks can’t seem to get enough of anything related to mobile. From mobile apps to mobile payment platforms, Starbucks is on the vanguard of mCommerce advancements that may soon be far more pervasive throughout the retail space than they presently are. According to new details that have come to light this week, Starbucks has already processed more than 42 million mobile payments. That’s not bad considering that the program just began last year. In December 2011, Starbucks revealed that it had processed 26 million mobile payments. Adoption continues to grow exponentially, the company said. This blog article featured by TextEdge touches on the important elements of a mobile coupon, including a call-to-action, incentive, loyalty and the match. For those that watched the video in an earlier blog, hopefully you caught the definition of a mobile coupon from Juniper Research Senior Analyst, David Snow. The first important element of a mobile coupon, is simply a call to action (from a customer’s perspective). Businesses are working to connect to their customers with Facebook postings, Twitter and for some text blasting. And if you posted, tweeted and blasted for your customers to come in between 5-9pm Thursday night for a super special. You would be correct in assuming that is a call to action, but if you sent it out on Monday and you think I’ll remember that by Thursday. You need to think again. Facebook post – “Come to Bill’s Restaurant and Fun Shop tonight for the dinner special.” I like it, it’s a call to action. But wait, did I “Like” your page so that I’ll receive updates from you? And if I “Like” you and receive your feeds on my wall, when did you post it? If I’m not looking at my Facebook until later this evening, will other posts bury it by the time I log in to check? That’s right, logging in to Facebook every 5 minutes to make sure I stay up-to-date on your posts is not something I’m willing to invest my time and energy in. But if your post comes in at precisely the time that I’m checking my Facebook, I’ll love that deal and come on down! The Tweeter – Excellent, you’ve tweeted about some really awesome seasonal clearance items, you’ve mentioned that you have limited quantity and I should get to your store to get in on the bargain. Another great call to action. But if I’m not following you on twitter, will I know? Nope. If I am following you on Twitter, with 1,000+ other folks and I don’t look at the message until 2 hours after you posted it, do I think that those items have already been picked through? You told all your followers about it, so it all must be gone now. If I were an optimist, and most of the time I am, I would run down there as soon as I could. What would I find and would I have wasted my time, gas and money for nothing? Text Blasts and Email Blasts – Yes, instead of taking them on one at a time, I’m doing both. It’s a blast. (accentuate the period) I do like you, and you know it because I gave you my contact information. So you reach out to me and thousands of others like me, to tell us to come on in. That’s a call to action, maybe once a week or twice a month, because if you do it more than that you have now started spamming me and everyone else and we don’t like that. So I’ll come in when I have the time and money to do so. Maybe the next time I’m in the area, we’ll see. My perfect call to action might be a text or email from you letting me know that for the next 3 hours you have discounted my favorite soaps. I don’t have to find you, follow you or search you out, you come to me when I can get to you. So, now you know that your mobile coupon needs to have a call to action. So we can move on to Part 2 – the incentive. Incentives can be anything from discounts, freebies and/or limited specials. You have to use these incentives to engage with me and bring me in. In today’s economy me and everyone else is trying to find discounts or specials more than ever before. Why? Because the price of a gallon of milk is almost the same price as a gallon of gas. And because of this, motivating me to part with my money is getting harder and harder. If you want to engage with me and others like me, you have to make your incentives relevant. Does sending out one text blast message a week telling me the happy hour specials engage me? Maybe, if I’ve had a long day at work or if I remember you sent it. But, do this too many times and I will no longer engage in the mobile coupon conversation. I need to know that when I’m receiving a mobile coupon from you it is geared towards me and what I want. I need an incentive that makes me want to get off the couch. A blanket message that you send out to everyone on Facebook, Twitter, text or email doesn’t engage me, it just tells me you need business. If you send me a relevant incentive and combine it with a call to action, you will get me and others to move. My perfect combination would be a short-term deal, from a business I like, on my terms. I want to be able to tell you when to reach out to me. There’s nothing worse than getting a great incentive with a clear call to action at the wrong time. A feeling of devotion, duty, or attachment to somebody or something. Seriously, if some researcher in England said you have the ability to increase customer loyalty, would you do it? Do you believe in customer loyalty? 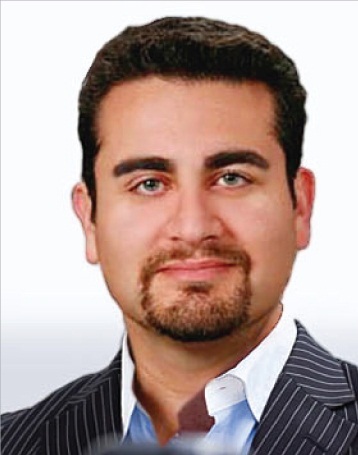 Let me ask that a different way…do you have or are you planning to roll-out, a customer loyalty program? If you answered yes to this question…then we have something to talk about. Loyalty is built on trust, good experiences and a feelings of importance, and not the stuffy importance, more of the – you know my name importance. So how do you build loyalty these days with customers searching for the next great discount? I was asked this question by a friend of mine who owns her own business. To me, this is a trick question. You see I don’t believe loyalty is built on discounts alone…I believe loyalty is built on trust, experience and a feeling of importance. When you “appreciate” me for being your customer and give me a discount on an item now and again, I’m thankful for that, but even more than that, did I receive great service from you? If you first get me in the door with a discount, great! Even better, send me occasional discounts through your loyalty program. Then continue providing excellent service – including, knowing my name and build that relationship. That’s when you know, loyalty is not only possible but something you can grow, just like the guy from England says. So now you’ve read about a call to action, incentive and loyalty. All of these sound like great things. I want all of them to happen, however I still see a gap. A place that I as the consumer may fall through the cracks. It’s been alluded to in all the earlier posts: what if I don’t see the Facebook post, what if I forgot about the tweet and what if I didn’t read the text message soon enough? I have a busy life just like everyone else. I want the great call to action, so I know what I need to do and when and I want an incentive that shakes me up a little bit. Now what if I could get the call to action and the incentive only when I wanted it, on my terms. I want to get a deal that is about me and for me. Not a deal that has been broadcasted to thousands of other people – we don’t all like the same things or have the same schedules. What works for one person that likes you doesn’t work for all of us that do. What would be great for me is the ability to have one place where I could choose businesses I like, choose the times and days I want to hear from them and on top of that how I want to hear from them. What would be even better, because I’m a busy person, is if I could change this as my life changes. I have the week off so I have much more free time to enjoy my local area. What if I could tell all these businesses that I’m available and if given an incentive from them, I would be happy to pay them a visit? This is where the match comes in. I want you to match your incentives to me, my availability, my location and my likes. All of this together in one package is great customer service. That great customer service and knowing my name will get me and others back in the door! 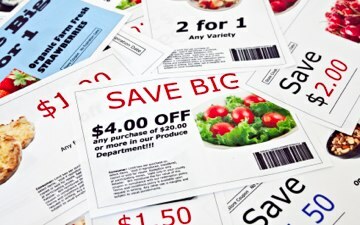 What’s Next for Digital Coupons? What does the future hold for digital couponing? This article takes a look at the growth of coupons in the past decade, touching on daily deal sites, mobile couponing and social sharing. Couponing had seen unprecedented growth in the past decade due to a combination of factors — one of which was the economic recession in the U.S., combined with an increased consumer interest in mobile technology and devices. The benefits digital interactions offer coupon companies are vast. For starters, online couponing allows for great promotion and wider distribution for brands. It also provides companies with better reach and the ability to track consumer preferences and patterns. Data from Leo J. Shapiro and Associates determined that the digital coupon consumer base was primarily comprised of young married couples with disposable income. Groupon has targeted this demographic, lending digital couponing a social reputation. Daily deal couponing continues to be a popular tool among consumers and marketers, and many major companies have implemented their own version of the trend. Although intriguing for consumers, daily deal platforms like Groupon have not always been beneficial for business owners, who often see a spike in business but little customer retention. 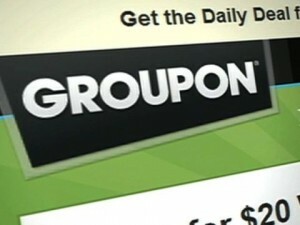 A Rice University study found that 66% of the 150 businesses surveyed reported that Groupon promotions were profitable. However, more than 40% of the organizations said that they wouldn’t run a Groupon offer again. Additionally, users claimed in the survey that they would not have tried a restaurant or store without a coupon offer. 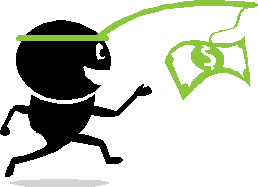 Contemporary couponing has highly influenced social branding, greatly increasing the popularity of daily deals. The social, daily deal strategies made popular by sites such as Groupon and Living Social have certainly spawned many copycat initiatives within the digital couponing realm. One such example is SocialTwist, a platform that states it “allows users to share in order to receive a better bargain.” Basically, consumers can turn a $1 coupon into a $4 coupon simply by sharing it with four other people. This method will likely continue to increase in popularity in 2012 — we already saw evidence late November 2011, when Foursquare announced it would incorporate a new “social sharing” button on its site. Given these newer strategies, companies are mobilizing their virtual and physical platforms to better reach and retain these social, mobile customers. Most companies are aware that their mobile presences have to be dynamic and user friendly. With roughly 91% of the population using mobile devices and 26.3% accessing the Internet, it is important to have a mobile site for on-the-go reading and utilization. Additionally Google reported that 95% of smartphone users have searched for local information, proving that location-based, deal searching is vital to digital couponing. The same study found 38% would use a mobile device to find a store location, 34% to compare prices, 28% to research deals and coupons, and 27% to find a product review. 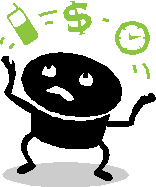 Mobile couponing, an obvious extension and result of digital distribution, has been popular despite its “mechanical” issues. With the rise of digital coupons, there was also a surge in consumers who used their mobile devices to reference coupons visually on their smartphones. Unprepared for this development, the redemption process, such as the scanning of digital coupons on mobile devices, has proven difficult until recently. “Mobile coupon redemption has always struggled with ensuring a seamless experience at the point of sale,” says reporter Steve Smith. So, business giants like Walgreens are “retraining salespeople to handle the process and equipping stores with hardware that can recognize 2D codes on LCD displays.” This nationwide initiative was just launched and underwent testing during the 2011 holiday season. Walgreens released an app for iOS, BlackBerry and Android, which includes a new coupons section that issues up two to three new exclusive weekly deals for customers using the mobile apps. In short, the “social-local-mobile” trend is the next cutting edge move for digital businesses, and a necessary consideration for coupon brands. SoLoMo gets specific when it comes to targeting your ideal market and allows your ideal consumer to find you. The combination is a win for both parties, as well as the logical next step for consumer activity based on current digital engagement. If you own a small business, you might be feeling a little overwhelmed by all the new emerging ways to connect to customers and promote the growth of your business. You may be wondering how you can leverage the power of mobile, social and online marketing to be successful. In addition to optimizing your business’ website for mobile, there are several other marketing tools you can employ to make sure you reach those consumers who are always on-the-go. With the economy still in recovery-mode, consumers are still searching for those deep discounts. Use mobile marketing to target those shoppers who are looking for affordable deals by sending coupons and loyalty rewards directly to their mobile devices, or creating a mobile call-to-action through a QR code. Mobile marketing has proven to promote loyalty among customers and encourage repeat visits, plus, what better way to reach consumers than on a device they’re carrying around with them all the time? Social media can facilitate communication between businesses and their customers or clientele, but businesses need to be aware that simply creating a presence on social media sites is not enough. Businesses must be active on these sites, engaging with customers to get feedback, posting content that holds value for customers, and creating an identity for your brand that will make others want to engage with you. 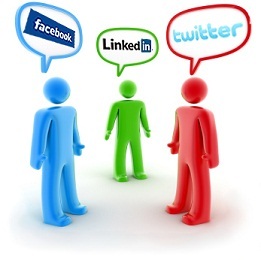 Businesses should also be aware of social media analytic tools such as Google Alerts to find out what people are saying about your business and then join the conversation. 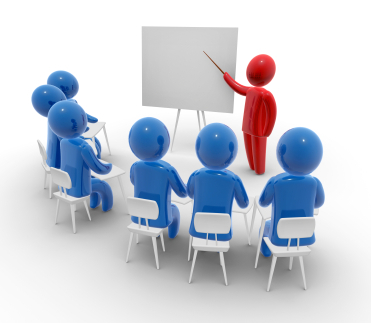 Another important element in a marketing plan is implementing an SEO plan. Looking for the elements that will get you to the top of a search is very important for a business’ online presence. A big part of SEO is being conscious of keywords—adding keywords to the hidden meta data (the code of information on the backend of your website that helps search engines recognize data) includes the keyword field, page titles, descriptions, site maps, and heading tags. Links are also very important to a company’s online presence. If you have reputable websites link to your content, you’ll have good SEO. Adding a blog or posting videos, podcasts and other types of content are some other easy ways to optimize your business’ site for search. New marketing tools don’t have to seem so foreign. Check out this infographic below that shows how small businesses are allocating their marketing budgets and using these tools to grow.